This year’s Christmas a lot of people got the one and only Apple Airpods. 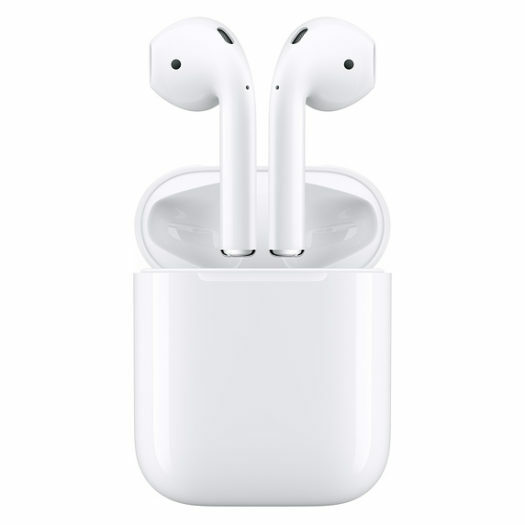 AirPods are wireless Bluetooth earbuds released by Apple in December 2016. They automatically sync through Apple’s iCloud service allowing users to switch audio sources to other supported devices connected by the same Apple ID. Apple AirPods are becoming more popular by the day. Apple sold about 25 million AirPods in 2018, double 2017 sales. The cost of a pair of Apple AirPods will be 159.99 dollars. Yes it is expensive but there are so many features that will surprise a lot of people. One feature is that with one tap you can talk to Siri. The AirPods have an Apple W1 chip. It produces extremely efficient wireless for a better connection and improved sound. And the W1 chip manages battery life so well, you can listen for 5 hours on a single charge. More than 24 hours of battery life with charging case. Up to 5 hours of battery life on one charge and 15 minutes of charging equals 3 hours of battery life. No other wireless headphones are like these Apple AirPods. Another cool feature that the AirPods have are that they connect automatically with all your Apple devices. They’re simultaneously connected to your iPhone and Apple Watch, and sound switches instantly between the devices.